New Zealand is known for its natural beauty. The fjords, lakes, mountains, volcanoes, and more. What often isn’t mentioned when it comes to New Zealand are the beaches. Fair enough, the water is on the colder side (thanks, Antarctica), and they don’t all have the top Instagram worthy colours. Most of the time you won’t see New Zealand beaches feature on all the lists like this one. But, forget these botched headline-grabbing headlines, there are crazy cool and unique beaches in New Zealand. I’ve visited a decent number around the country, but have asked other bloggers to contribute their favourites to bring this post together. 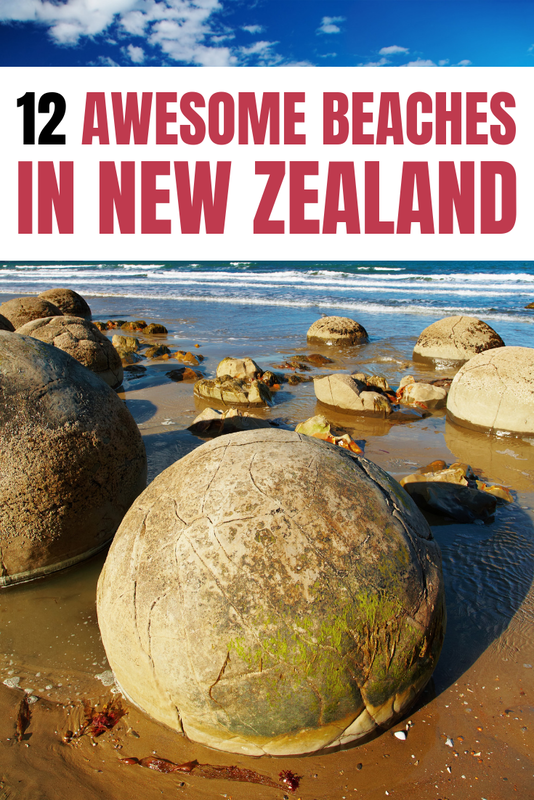 This list isn’t of the best beaches in New Zealand, that’s too subjective. So I made sure to ask the contributors to note something unique and/or memorable about their experience at the beach they nominated. 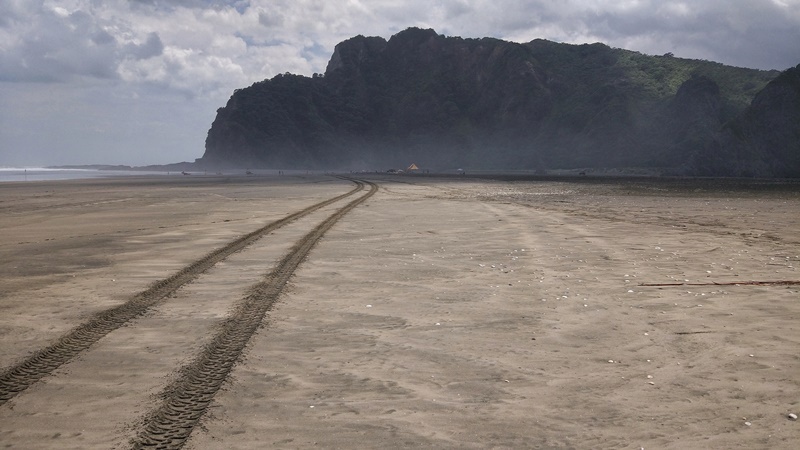 When I visited Karekare Beach the first time, back in 2009, I fell in love. Yes, with the sandy beach. This was still Auckland, the Waitakere Ranges out west, yet Karekare seemed to be light years away from civilisation. The long beach with its dark sand and roaring waves was so wild and rough and beautiful at the same time. Over time, I kept exploring Karekare further and found out that you can walk all the way to the stunning Pararaha Valley (some of the tracks other than along the beach walk may be closed) and there’s even a basic campsite along the way. Of course, I’ve visited other beaches in the Waitakeres, like more famous Piha and Bethels Beach. They are beautiful, too, and have their very own appeal. But nothing ever keeps up with your first love. Karekare will always be my favourite beach in Auckland. Tunnel Beach, is located just outside the delightful town of Dunedin. With a fairly basic car park that hides a wicked hill which you’ll be hating on the way up. 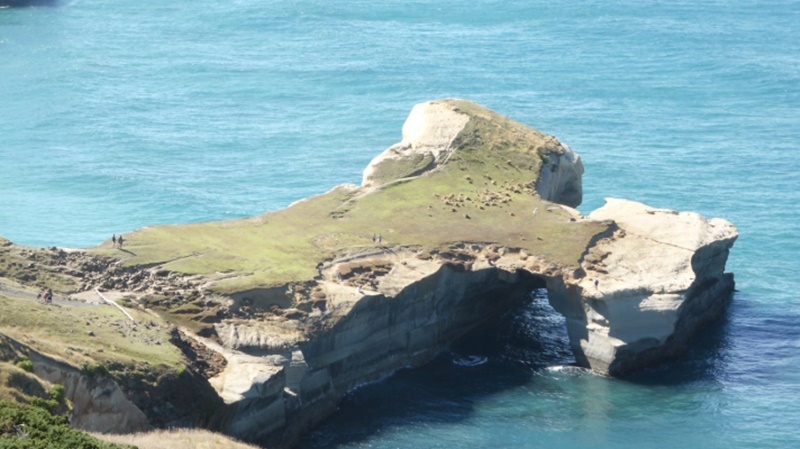 On arrival, you may think that the name, Tunnel Beach, relates to the large arch that crosses the water. In fact it relates to the old tunnel that goes down to the beach itself; I’ll never forget shuffling through a tunnel to reach the crystal clear water and golden sands. Legend has it that in the 1870’s John Cargill, a son of Captain William Cargill, hand carved a tunnel down to the secluded beach so that the Cargill families could stroll and bath in pure blissful privacy away from the prying eyes of St Clair residents. Which when you think about it is a lot of effort for some private moments when your bae. At the end of day whether the tunnel was built for good or rich people evil it doesn’t matter. It’s well worth the walk down to enjoy the golden sand and crystal clear blue waters. Tucked away only a short drive from Christchurch city centre is Taylors Mistake beach. Despite being a much smaller beach than the neighbouring Sumner beach, it’s safe to say that Taylors Mistake is a real gem! 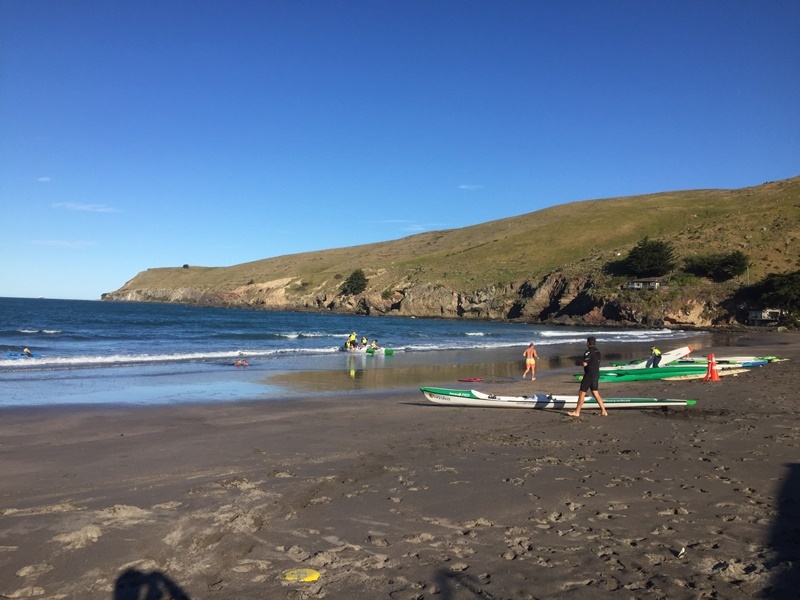 Set between the Banks Peninsula cliff faces, the beach is often less occupied and so just isolated enough to feel the freedom and connection to nature that New Zealand coastline so often brings. As a more remote beach, it’s the perfect way to spend your summer jumping the waves, carefully walking the coastline tracks, or kayaking out into the bay. It’s even a great spot for surfers – an activity that is often forgotten as being popular in NZ! My favourite way to enjoy Taylors Mistake is to head down on a sunny afternoon after a walk around the nearby tracks of Godley Head. Cooling off in the waters, munching on a picnic, and simply reveling in the peace and quiet of such a hidden treasure. 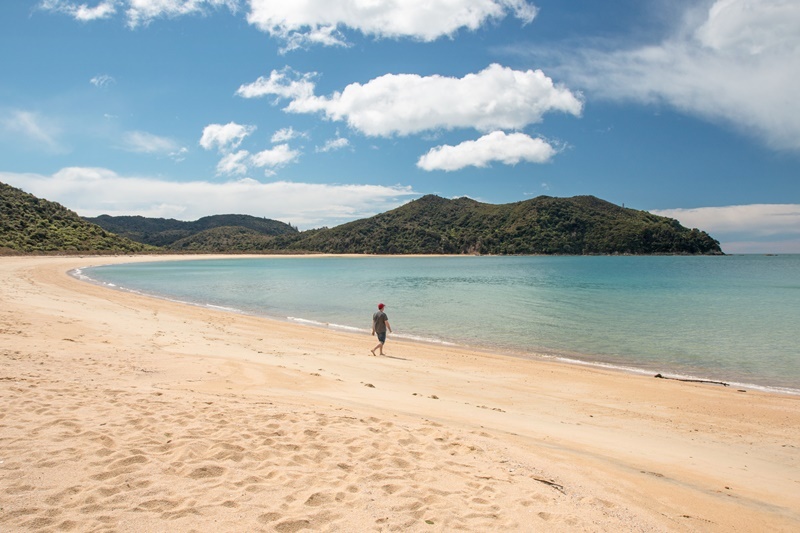 It’s definitely not a mistake to miss out on this New Zealand beach! Jub’s two cents: The cave baches in the photo above are pretty impressive too! Some of the were built in the late 19th-century. Tāwharanui Beach located around an hour north of Auckland is one of the most special beaches in New Zealand and not only because of its pristine white sand. It sits inside an open sanctuary that’s home to kiwi and many other endangered local birds. If you take a red-filtered torch and visit at dusk, you may be lucky enough to spot kiwi foraging through the nearby native bush. A marine reserve operates at the beach meaning the sea life is abundant. If you’re looking to surf then it’s a great spot, but there are spots down towards the southern end of the beach that are calm and safe for beginner swimmers and children. 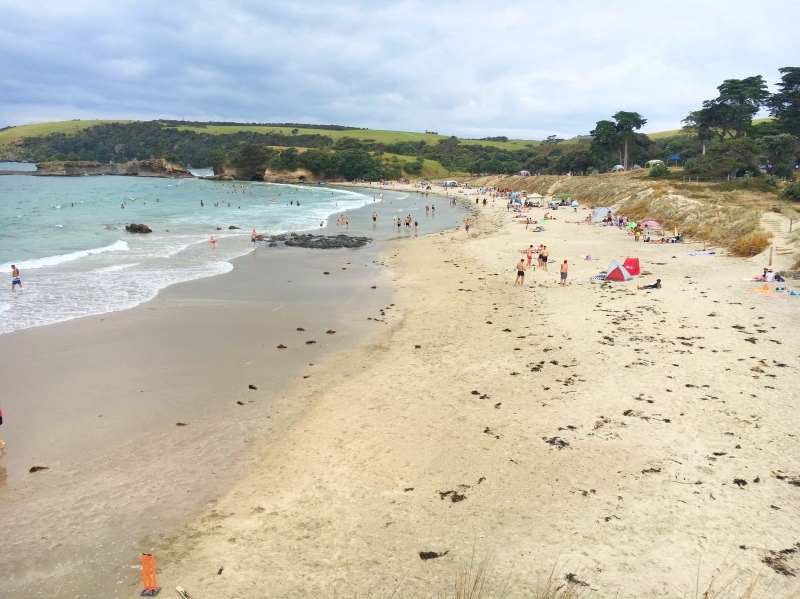 Tāwharanui is a perfect place to take a picnic and head for a great day trip from Auckland – or pack your tent and stay for longer at one of the two campgrounds right beside the beach. If you’re looking for a kiwi experience in New Zealand, this is one of the places to be. I’ve been to a Kiwi release here (open to the general public) and have seen the birds up close before they release them into the bush beside the beach – and then gone for a swim afterward. Not too many places in the world you can do that. Piha beach is a wild place. The approach over the Waitakere Ranges is spectacular as the black sand looms into view. Surrounded on all sides by steep, craggy cliffs, the sea rages in from the west. It’s dark beauty and proximity to Auckland make this one of New Zealand’s most popular and famous beaches. 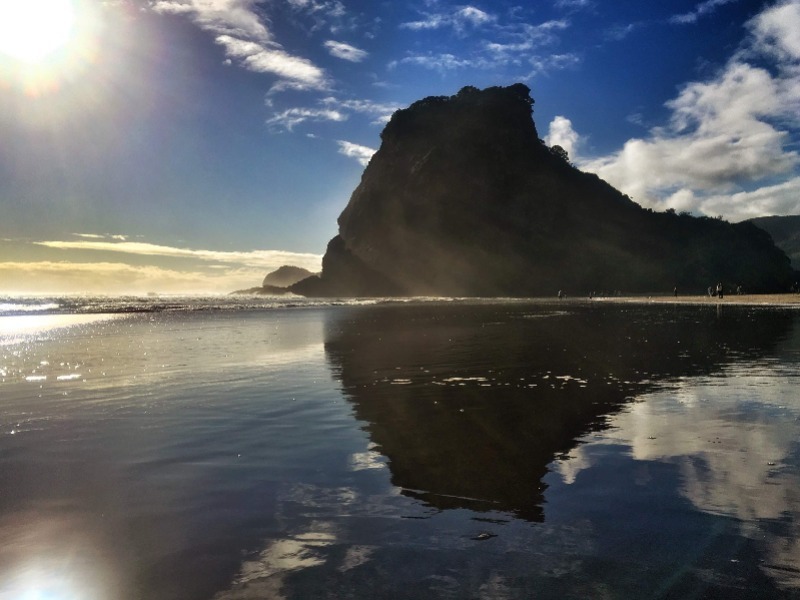 Climb Lion Rock – a monstrous, battered snout-like formation that sits right in the middle of Piha Beach – for far-ranging views in all directions. Climbing Lion Rock to watch the surfers and the sunset is something you can never get sick of. And make sure to take your camera, this one of the most photogenic spots in all New Zealand. 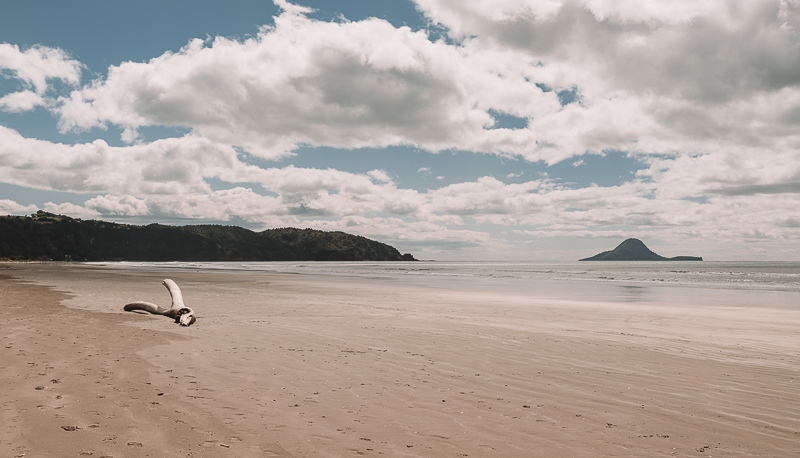 Often cited as New Zealand’s most loved beach, Ohope Beach is really an incredible expanse of coastline. But despite its popularity, its size and somewhat remote location (away from any major NZ cities) mean it’s never crowded. Stretching over 11km, it’s an ideal spot to practice ‘backyard cricket’, have a game of beach volleyball, or take the dog for a run. But perhaps my favourite part of this beach is the amazing view out to Whale Island, and White Island in the distance. Keep an eye on the latter and you may see the telltale white smoke billowing out from this active volcano. Next to the beach, you’ll find two great children’s playgrounds, cafés, and a dairy to pick up your favourite ice cream! And after enjoying the beach, you can tackle the famous Toi Track which takes you through native bush to a spectacular lookout point over Ohope and beyond. Hot Water Beach is like no other. Found on the Coromandel Peninsula in New Zealand, this sandy beauty is a geothermal phenomenon. Due to two nearby underground fissures, the water beneath the surface of the sand has the temperature of a hot bath. 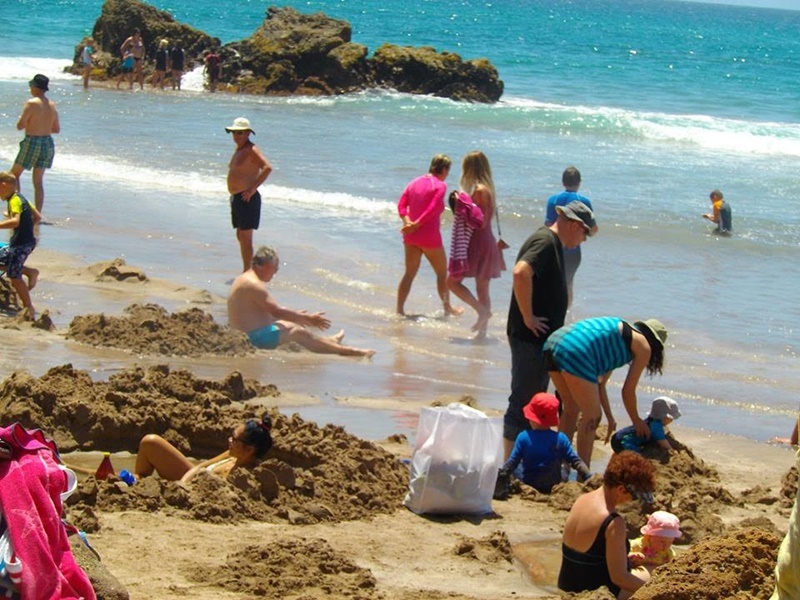 As this is so, bundles of tourists flock here every day to dig their very own hot tubs on the beach (I’ve never seen this anywhere else in the world)! You will only be able to do this a few hours either side of low tide, as the beach disappears after that. I advise arriving very early as it is a really popular beach. Don’t forget your spade either, as the nearby shop rents them out for a small fortune. With so much coastline to explore in New Zealand it seems a bit strange that one of my favourite beaches in the country is over 100 kilometres from the sea. 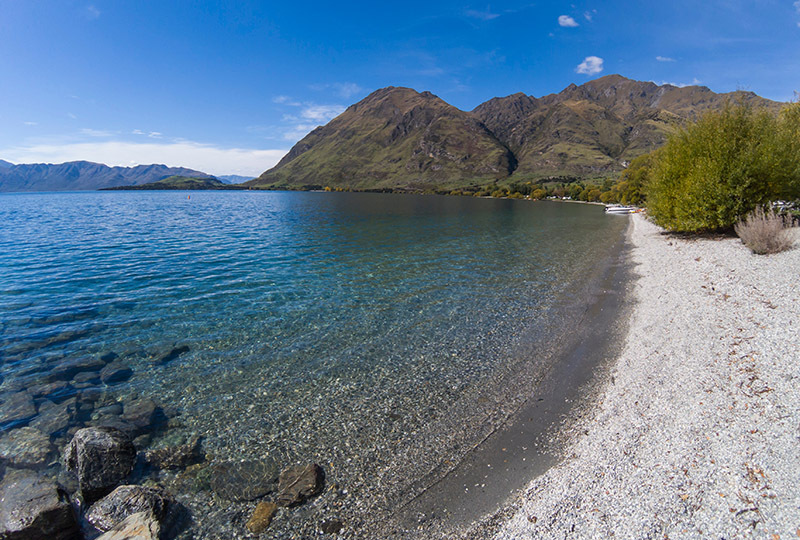 There are some great lake beaches scattered around New Zealand, and Glendhu Bay is easily among the best. Only 12 kilometres from Wanaka, Glendhu Bay has none of the development of that booming tourist town. There’s a camping ground, which is popular with locals in summer, but apart from that it’s very quiet. The beach itself is a bit stony (it’s a lake beach after all) but it’s the clear blue water and the stunning surrounds that make Glendhu Bay special. It’s cool to be able to do some of New Zealand’s best alpine day hikes (Roys Peak, Isthmus Peak and Rob Roy Glacier) and then relax on a beautiful beach afterward. New Zealand is a destination chock-full of natural beauty, and although it’s a small country..it would take years to properly explore everything it has to offer. I spent one full month in New Zealand, and I feel like I still barely scratched the surface! One of my favorite activities I did though was exploring the stunning beaches and coastline along the Abel Tasman National Park. While there really are tons of epic beaches in the park, my favorite has to be Onetahuti Beach!! It’s absolutely gorgeous, and you could easily spend days there reveling in the natural beauty and letting time slowly pass you by. There’s an awesome beach campsite, kayak rentals, and there’s always friendly fellow travelers nearby. My only wish was that I more time here, because I just stopped here during my day hiking through the national park. I personally think it’s a must if you’re planning on visiting the South Island of New Zealand because it’ll certainly be an adventure you’ll never forget! Travelling from Oamaru to Dunedin? Moeraki is a convenient stop along SH1. While there’s a long sandy shoreline, its best-known attraction is the pile of giant spherical boulders on the beach. The fascinating sight draws plenty of visitors, especially at low tide. It helps that there is a proper carpark, cafe and toilet next to the site. If you’re not driving and are averse to hitchhiking, you can take a Coastline Tours shuttle bus – it makes a brief stop there. Maori legend states that these million-year-old formations are the remains of the food that was on the Arai-te-uru. 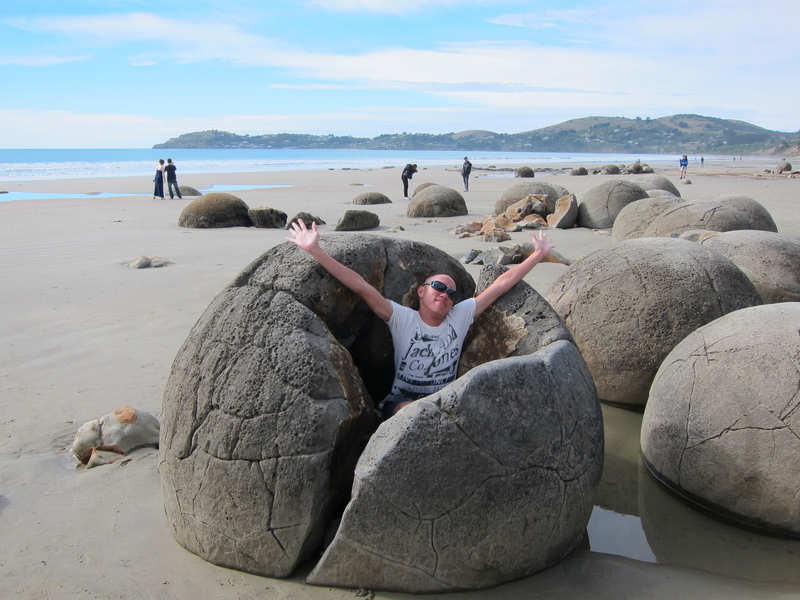 There are more boulders at Shag Point, roughly 19 kilometres south of Moeraki. One may occasionally wander into someone else’s Instagram shot but it doesn’t feel like you have to fight to get close to them. For me, the boulders provided opportunities to take some creative shots. There was one that had split open and it seemed like I was the only one who thought of pretending to hatch out of it, or be gobbled up! My hitchhiker and I had a lot of fun with the photos that morning. Gillespies Beach is one of the most breathtaking places I’ve ever stayed. 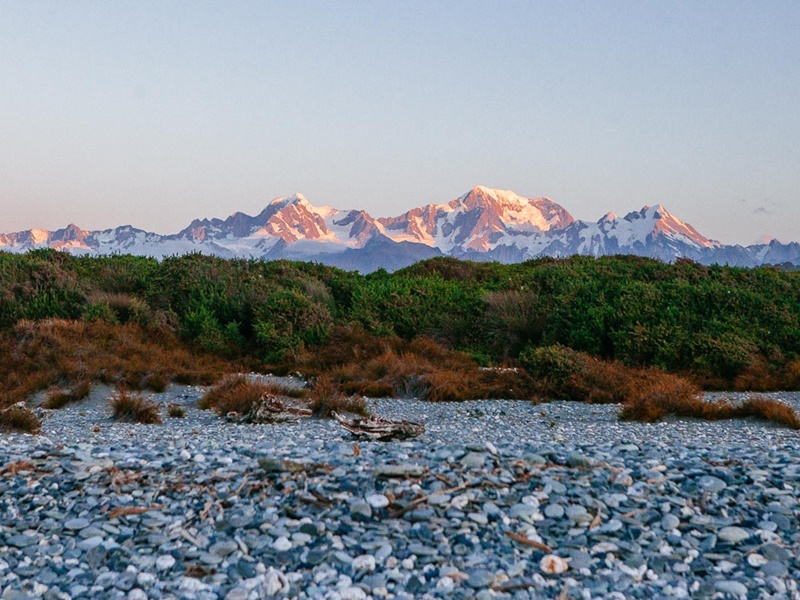 The secluded, stoney beach is the perfect sunset spot, and when you turn your back on the sea, you can see Mount Cook and the surrounding mountains. It’s one of the most breathtaking sights we saw in New Zealand. Gillespie Beach is a 25-min drive from Fox Glacier town and is reached via an unsealed track, which is quite difficult to navigate in a campervan. Be warned that your car/van hire insurance might not cover driving on such a road! The beach is home to a little campsite with room for both tents and camper vans. The camper van campsite is essentially just a car park with toilets, but if you’re lucky enough to get a spot, it means you can stay right next to the beach and go to sleep to the sound of the waves. On the edge of the cities CBD, is Oriental Parade, a place that can be empty one day, jam-packed the next. It all depends on the weather, but as soon as it’s a nice day (and the wind isn’t too bad), Wellingtonians make Oriental Parade the place to be in Wellington. The beach used to be even smaller though as it wasn’t until 2004 when the council bought sand over from Golden Bay via ship to make the beach bigger, I’ll never forget learning that…though it makes sense when you visit Wellington’s other beaches and note the difference in sand colour. When you’re at the beach, you can see right along the Wellington waterfront, with Mount Victoria looking over you. And if you want a challenge, make sure to swim out to the pontoon a couple of hundred metres offshore. There we go! I’d like to think that this shows again the diversity of the beaches in New Zealand which as a whole makes them awesome.